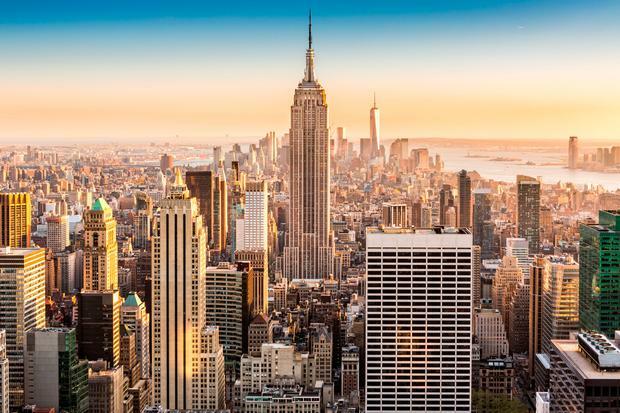 Magic Monday: Return flights to New York from €181 in this week's Top 5 travel deals! Norwegian is now flying double-daily from Dublin to New York Stewart (a 90-minute bus transfer from Manhattan). There are some great deals in May, including outbound flights from €109 and return legs from just €72.50. Bags, seat reservations and meals are extra, however. norwegian.com/ie. €196.50pp: Family trip to the Algarve? GoHop.ie is offering €50 off holiday bookings made up to May 4. Deals include a 3-star family holiday to Praia da Rocha from €786 - including Ryanair flights and 11 nights for two adults and two children departing Sunday, May 13. 01 241-2389; gohop.ie. Travel Department has three-night trips to Prague from €369pp, including flights, a 3-star hotel stay, transfers and a city walking tour. Trips with 4-star accommodation cost €399pp. 01 637-1650; traveldepartment.ie. The Rose Hotel in Tralee, Co. Kerry has a Spring into Summer Sale offering 20pc off packages on selected dates in April and May. Prices start from €96 per room if you book before May 3. 066 719-9100; therosehotel.com. Have you seen Independent Discounts? The new site has a host of special offers and discount codes, with travel brands ranging from Aer Lingus to ClickAndGo.com and Expedia.ie. Right now, TUI is offering €120 off Majorca bookings worth over €1,000 between June and August. See discountcode.independent.ie/travel-accommodation.